Citing a prolonged weak market made worse by the warmest winter on record, the nation’s two largest coal companies announced massive layoffs at their Wyoming mines. Peabody Energy cut 235 miners, and Arch Coal cut 230 miners on Thursday morning. The reductions represent about 15 percent of each company’s Wyoming workforce. Both companies are based in St. Louis, Missouri. “We regret the impact of these actions on our employees, their families, and the surrounding communities in the Campbell and Converse county areas,” Peabody Americas president Kemal Williamson said in a prepared statement. Arch Coal is reorganizing under Chapter 11 bankruptcy, after amassing huge debt betting on metallurgic coal used in steel production. Similarly, Peabody Energy is struggling with debt. Experts predict the company will file for bankruptcy protection any day now. The bulk of Peabody’s layoffs were at its North Antelope Rochelle Mine in southern Campbell County, one of the largest coal mines in the world. Before the layoffs, it employed about 1,500 miners and produced 118 million tons of coal in 2014. Peabody also owns and operates the Caballo and Rawhide mines in Wyoming’s Powder River Basin. The company cut about 20 administrative positions in 2015, and continued to trim its Wyoming workforce prior to today’s layoffs. Arch Coal’s layoffs mostly include workers at its Black Thunder coal mine, also located in southern Campbell County. The mine shipped 101 million tons of coal in 2014, and as of December 2015 employed more than 1,600 miners. Arch also owns and operates the Coal Creek mine in the central portion of the Powder River Basin. “We regret the need for this difficult step and the impacts it will have on our employees, their families and the local community,” Keith Williams, Arch’s president of Western operations, said in a prepared statement. “We have made every effort to preserve as many positions as possible, and this decision was made only after a number of other cost-cutting measures were exhausted. 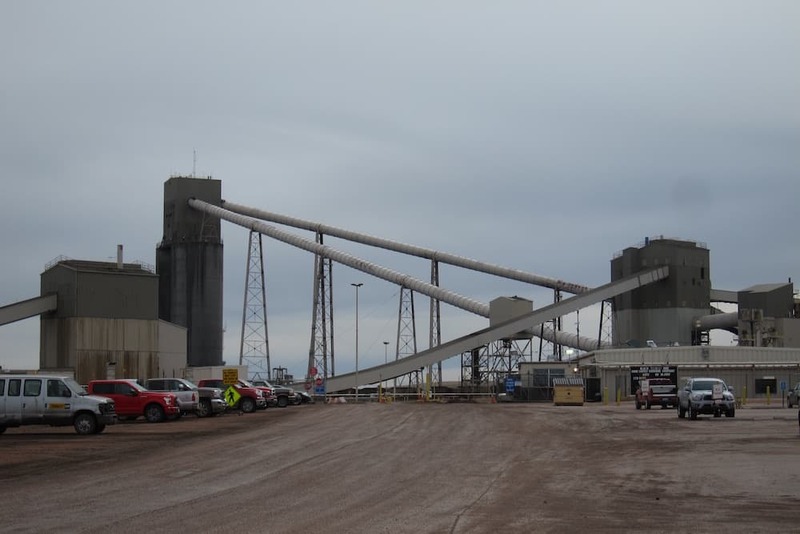 The layoffs come after the Powder River Basin mining industry shed about 115 direct jobs from 2014 to 2015. The region lost 750 oil and gas jobs during the same period, but state economists say the reductions in mining may have a more lasting effect on communities in the region. 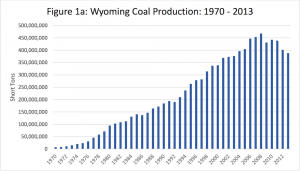 Wyoming’s overall “coal economy” makes up 11 percent of Wyoming’s gross state product, according to the UW study. Coal mining contributes $1.3 billion annually, or 11.2 percent of all government revenues collected in the state. Gov. Matt Mead held a press conference Friday afternoon to announce he is deploying state employees from Wyoming Workforce Services and other state agencies to the mines and local communities on Friday and Saturday to help those who lost their jobs. However, he cautioned, there are no mechanisms or jobs programs to immediately meet the needs of coal miners and their families. Gov. Mead recently signed a two-year state budget that cuts more than $750,000 to Wyoming Workforce Services. It’s not clear how that might diminish the agency’s ability to help those who will seeking services. The governor listed natural gas and numerous federal rules and regulations as driving the crunch on Wyoming’s coal mining industry, but didn’t mention the mining companies’ own financial management, a factor that some economists say has forced many into bankruptcy. Wyoming operators Alpha Natural Resources and Arch Coal have already filed bankruptcy, and industry experts expect Peabody to do the same. Mead said his administration has filed a record number of lawsuits against the federal government regarding new rules and regulations from regional haze to the Clean Power Plan. His office, along with the Wyoming Legislature, have invested heavily in research and innovation to improve coal technologies at the University of Wyoming, and to promote expanded and continuing markets for coal. But those are all long-term strategies, and “it provides little comfort today,” for those who lost their jobs. “Today’s news is not only troubling for individual miners, but troubling for all of Wyoming,” Mead said. Mines have already cut back on service contracts, which results in job losses that likely outnumber jobs cut at the mines themselves — a dynamic that will ripple throughout northeast Wyoming, Douglas and Casper. “This isn’t a natural disaster, but it’s certainly a disaster in those people’s lives,” he said. 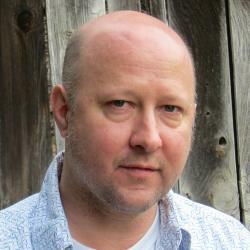 Sean Seems worked at several Powder River Basin coal mines, including Peabody Energy’s North Antelope Rochelle mine. He and his wife both left North Antelope Rochelle in 2015 to move to Alaska, where Sean now works at the Fort Knox gold mine. He said he’s been on the phone with a lot of friends and former co-workers during the past couple of weeks as rumors flourished about possible layoffs. — State experts will be available in Casper, Douglas and Gillette today and Saturday to assist individuals affected by the coal mine layoffs. The DWS workforce centers in Casper, Douglas and Gillette will also be open for extended hours on Friday, April 1, from 8 a.m. – 7 p.m., Saturday, April 2, from 10 a.m. – 7 p.m. and Monday, April 4, from 8 a.m. – 7 p.m.
For more information, visit Wyoming Workforce Services. Thank God we have elections coming up November 2016! TRUMP I HOPE for oil, gas, pipelines, coal, efforts to get jobs moving back to US. Wyoming is in a tight spot, for everyone in Wyoming knows losing workers effects us all in the private sectors of Domestic product. A fixed policy will not come from Congress, for Wyoming in three people elected by us. Wyoming people are the masters of their fate and circumstances. We now face wind farms which have reduce their taxes by 15%, so who set that tax, it wasn’t Washington it was the people representing Wyoming people, our state government. Governor Burgess in the 1800 hundreds said Wyoming was an empire in the Nation with all the natural resources. Since then our history has been bought, through corporations J.P. Morgan (Railroad) Rock Feller( Oil) Cheyenne Cattle Company (Cattle)Gran, along with a majority of Federal lands, we have to deal with that plain and simple. I think it is Wyoming’s duty to protect these lands for all American’s. Why, Wyoming makes a huge business out of tourist products and the World looks at our western culture, which is not cherished by energy, the world’s history and native american culture. After all these bust and boom cycles the circumstances call upon us all to not cry aloud, our heads may be bloody we shall remain unbowed, for now is the time to regain our fate and master our State.. Corporations have truly been monopolizing Wyoming long enough, even our new Wind Energies are demanding Wyoming give special considerations for their investment in trade for jobs and private sector incomes. Yet these products don’t truly benefit our state, for their greatest profitable income is from the population density of urban cities / rural density populations of states like California, Nevada, Arizona, Colorado or Utah..
We all must understand the underlying cause and not be credulous in blaming Obama or the EPA. The Clean power plan has not went in to effect and probably wont for at least a year. Mead also forgot to mention that state laws have played a great role as well. Citizens of Oregon will no longer derive their energy from coal since they outlawed coal fired energy production. Washington is also discontinuing coal use. 36 states have renewable portfolio standards and these states are a factor in the decline of coal consumption as well. In 1999 even George Bush as Governor of Texas introduced renewable portfolio standards for the state to abide by. These standards demand that wind and solar energy installations happen within the state by a certain date. The Governor did mention that banks are no longer lending to coal. JPMorgan Chase this month joined promises from Bank of America, Citigroup, Morgan Stanley, and Wells Fargo to withdraw from investing in new coal mines and financing coal-fired power plants. Coal lending is out and when people look at it as a poor investment the free market has spoken. ING Group, and the French banks Crédit Agricole, Société Générale, and BNP Paribas are also cutting financing to the international industry. If banks won’t lend to coal, coal is on its way out. Coal Exports also declined in 2015. Cloud peak Energy, our states largest private employer, had been shipping coal out of a port in Canada and unfortunately every ton of coal exported was losing about $2.20 for the company. Now Cloud Peak is paying not to ship coal. We must not allow our Wyoming tax dollars to be used to build a port to no where. I have worked in the oil field and I have watched 7,000 jobs hemorrhage from our state in oil and gas alone. All to often we hear people put blame on Obama but he has had little to do with the larger systemic problem we are facing. The issue goes well beyond Coal. I believe jobs and the economic downturn are the biggest issues facing our state. Wheat prices are expected to be at 44 year lows and other commodities like corn, natural gas, and oil are all trading artificially low. We have seen the largest percentage price drop ever in the history of the cattle market. This is all of our fight, these effects are felt all the way down to main street. These problems were caused through quantitative easing by the Federal Reserve. We are living in the biggest macroeconomic experiment in the history of our country and no one is talking about it. Injection of liquidity, easy money in all sectors of the market, caused an oversupply of commodities and now you see the result. We need to end the ability of the Federal Reserve to manufacture these booms and busts. We need a fixed policy rule. A fixed policy would promote the long term health of the economy instead of short term economic results the Fed is targeting now. The current practice of the Fed Chairman acting as the largest speculator in our market system is bad for our economy. Wyoming is always dealt the brunt of these downturns because we are viewed as the periphery, we are marginal and secondary to the core. The Federal Reserve basis its actions off of wall street’s health and that is the core they are concerned with, not you and I, not the farmer or the rancher and not main street either. This is why the constitution delegated this responsibility to congress and not an autonomous bank that has no representation for Wyoming. Please elect someone this year that is not just passing rhetoric along. We have gone too long with establishment politicians running things and it is time to elect honesty and integrity to the US House. FARMER FOR CONGRESS — The only one outstanding in the field.